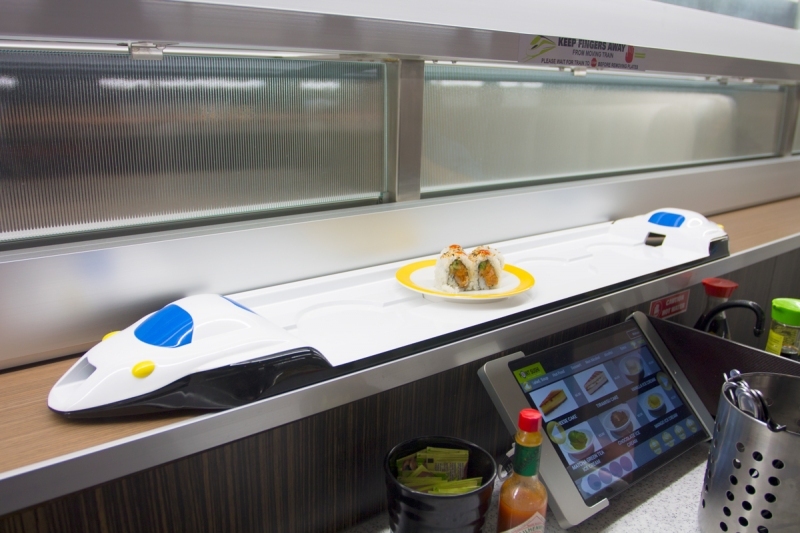 Order dynamite rolls and sashimi from a tablet, then watch as it’s delivered to you on a bullet train at this new Japanese sushi bar. There’s a new way to get your sushi fix at the recently opened Point Sushi, the first bullet train sushi bar in Calgary. 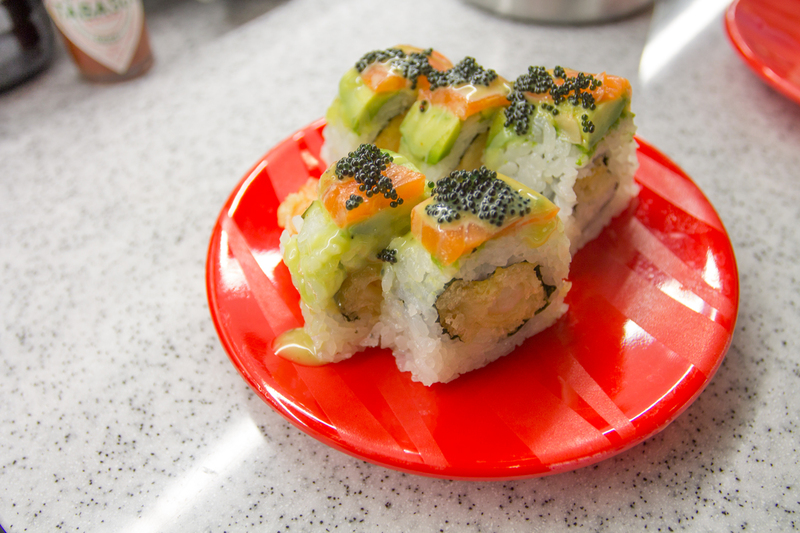 Located in the former Sakana Grill space in Chinatown, the Japanese sushi bar features a bullet train delivery system instead of restaurant servers, creating a dining experience that’s quick, fun and tasty. At Point Sushi, each table is set up with all the dining necessities like napkins, cutlery and soy sauce. There’s also a digital tablet with photos and descriptions of the whole menu. After choosing what you want to eat and hitting send on the tablet, the food is made in the kitchen and placed on colourful plates. These are placed on a tray that looks similar to one of Japan’s high-speed passenger trains (often referred to as bullet trains). The bullet trains run along a track beside each table, zipping your freshly made dishes right to your seat for you to grab and eat. The menu includes several sushi rolls including dynamite, cowboy and rainbow rolls, as well as sashimi, spicy tuna cones, gyoza, chicken yakitori, deep fried squid and more. Each table has its own tap for hot tea, but you can also order water, pop, beer and more off the tablet. 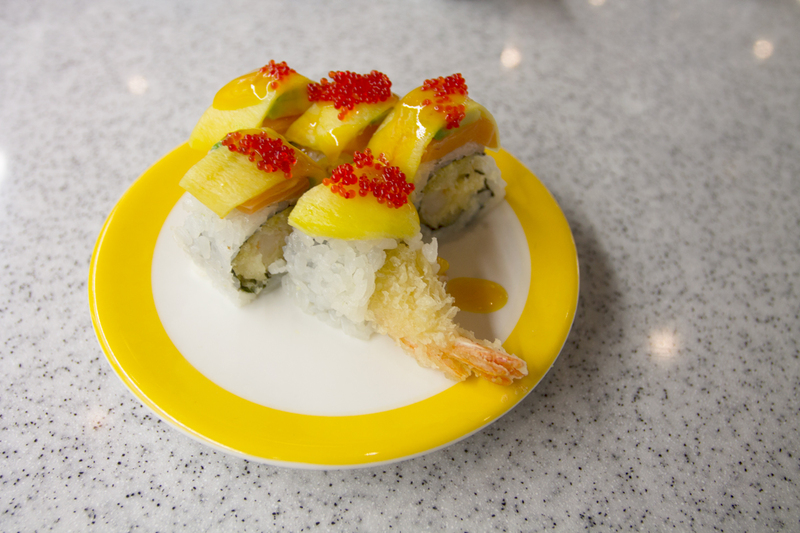 Expect a mini thrill every time the bullet train arrives at your table with food. You’ll also get a glimpse at what your fellow patrons are ordering as the bullet train glides past you with food for other tables. Make a reservation to ensure you get a seat at Point Sushi. 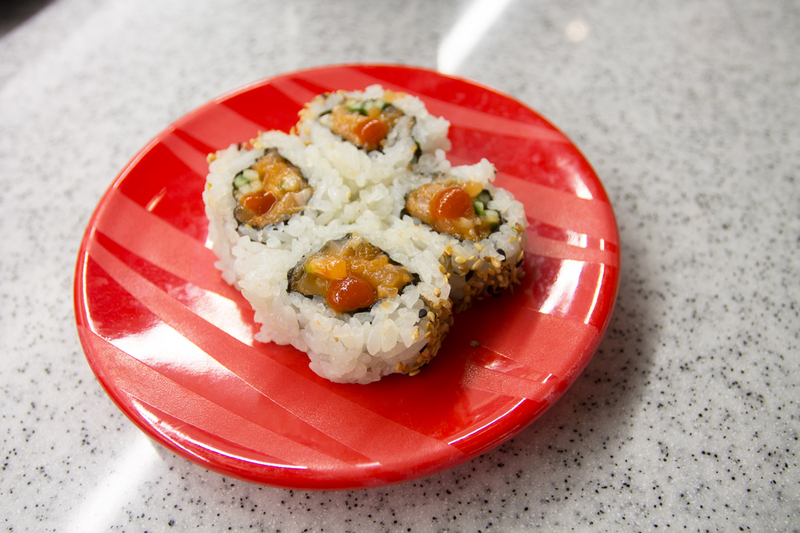 The spicy salmon roll at Point Sushi. The rainbow roll at Point Sushi. The dynamite roll at Point Sushi.